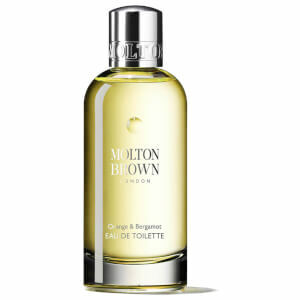 Top Notes: Orange Oil, Bergamot, Lemon, Mandarin. Heart Notes: Petitgrain, Cardamom, Galbanum. Base Notes: Neroli, Ylang-Ylang, Musk. 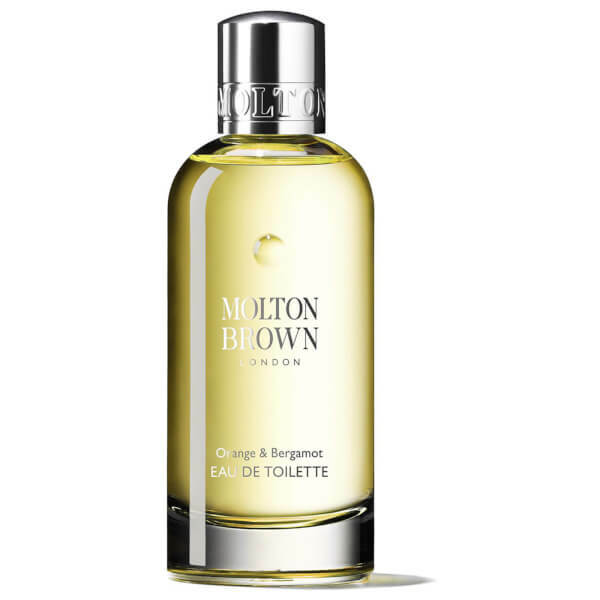 Inspired by Spanish summers, the Molton Brown Orange and Bergamot Eau de Toilette combines notes of zesty Orange, Lemon and Mandarin for an uplifting aroma. Refreshing and lively, the invigorating fragrance is enhanced with subtle floral accords of Neroli, Petitgrain and Galbanum, whilst Ylang-Ylang and Musk balance the scent to make it perfect for day or evening wear. Housed in a luxurious glass bottle and gift box. Alcohol Denat., Water (Aqua), Fragrance (Parfum), Limonene, Citrus Aurantium Dulcis (Orange) Peel Oil, Amyl Cinnamal, Benzyl Benzoate, Butylphenyl Methylpropional, Citral, Citronellol, Eugenol, Geraniol, Hexyl Cinnamal, Hydroxycitronellal, Linalool.